The Prestigious Indo French workshop under the banner of Indo French Center, which is created jointly by the Department of Science and Technology, Govt of India and Ministry of External and Culture Affairs, Govt. of France concluded today after brain storming sessions during last three days. During the three day workshop, various noted and eminent scientists spoke on the topics of Nuclear Physics. The prominent speakers included Prof. Joerg Aichelin from Nantes, France, Prof. Christoph Hartnack from France, Prof. Leifels from Germany, Prof. Bratkovskaya from Germany, Prof. Lopez from France, Prof. Napolitani from France. 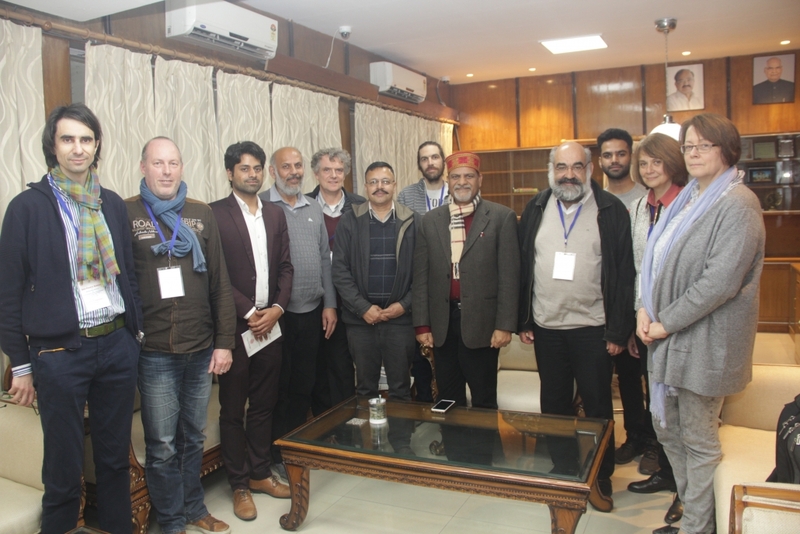 Prof. Rajeev Puri, Chief coordinator of the workshop told that the French and German delegates including the Director of Indo French Center had series of meetings with Prof. Raj Kumar, Vice- Chancellor, Panjab University(PU). Apart from Physics, another important part was that both French/ German and Indian delegate stressed need for joint collaborative projects. Prof. Rajeev Puri, The Indian Chief Coordinator along with Vice Chancellor Prof. Raj Kumar, Prof. Devender Mehta, Dean Sciences and Prof. Aichelin, French Chief Coordinator will initiate platform for French-Indo and German –Indo MOU and also collaborative projects that will benefit students and faculty of Panjab University. It was further agreed upon to explore the possibility of joint Indo-French Research center at PU which can be a milestone for the faculty and students of the region. Prof. Leifel who is head of the many giant projects at GSI, Germany, the world largest facility for Nuclear Physics along with Indian Chief Coordinator, Prof. Puri will explore for possibility of MOU with Panjab University so that local faculty and students can also work at GSI. Large number of countries have pumped thousands of crore of rupees in the facility of GSI. This Indo French workshop, which was first of its kind at Panjab University, has set the ball for large research possibilities with initiatives of Prof. Rajeev Puri from Panjab University and Prof. Aichelin from Nantes, France. It is worth mentioning that Prof Rajeev Puri was the first scientists who was awarded Indo French project worth of Rs. 1 crore in 2012.